Have an idea but just don’t know how to get it done or what material to use? We can help you! Have a CAD file ready? Even better, we can get right on it. To speed up turn around we prefer working vector CAD drawing but we also offer design services if your idea is in your head or even sketched out on a napkin. No minimum order size, just a low setup fee, then time and materials. We will get your project done, done right and done fast. Unlike most other laser cutters, we get most jobs done in under a week, not the usual 4-6 for the industry. If you don’t love it, you don’t pay for it. Period! There is a reason why we receive 5 star reviews. Tired of sending your project all over the state to get a finished product? We offer turnkey services. Our Large Format Laser with flying optic table (48” x 96”) means material doesn’t move, so we can cut almost anything including fabric and paper thin rubber. 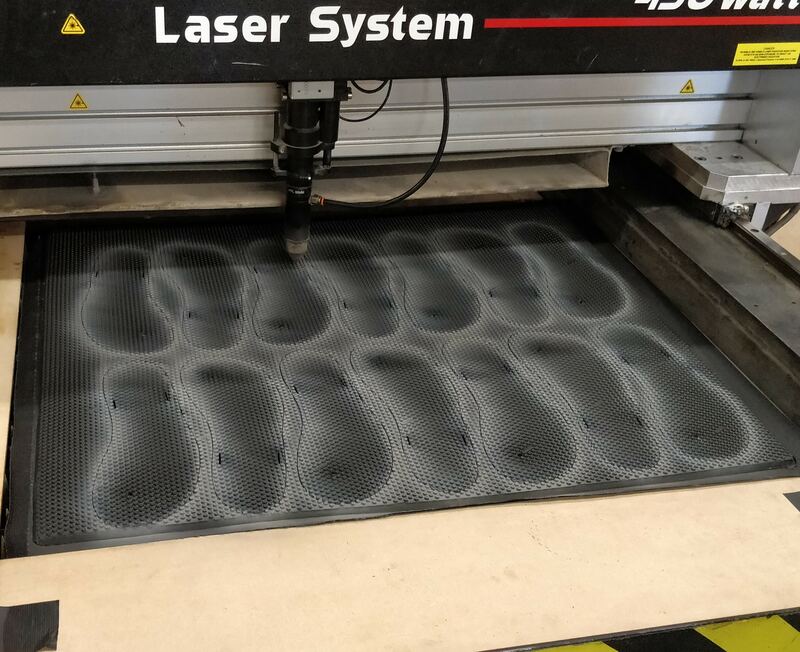 Unlike many other laser cutters/engravers that run 50 to 100 watt machines with a bed size of 24″ x 48″ we have beds up to 48″ x 96″ and wattage of 500+ which make even large jobs a simple matter. Whether you need 1 small part or a commercial production run we can help you. The Experience Behind Bouldeworks, Inc. In Business since 1993 and with 15 years of laser cutting experience, Boulder works primary, Charles Mason, has an extensive background in design, art and engineering. He excels in coming up with creative solutions for any project be it a widget, machine part, custom sign or consumer product. He will help with material selection, figure out the most economical size or process and even redesign the part or make suggestions. Charles offers customers an engeering mind with an artist’s creativity and touch and this is why we say “Ideas Materialied”. From Prototype, Sketches & Images to Production Runs and More.